What Can Brazilian Jiu-Jitsu Do For Kids? Martial arts classes offer a great way to get your child more active doing something that you can both enjoy learning together. Compared to other active hobbies your child can take part in, the martial arts, specifically Brazilian Jiu-Jitsu, comprises a variety of other potential benefits that are irreplaceable. There is no other program out there that encompasses a combination of physical education and character development quite like that of martial arts for kids. Implementing the teachings and practices of Jiu-Jitsu helps instill important principles in your child at a very crucial age of development that can truly shape and benefit them for the rest of their lives as they take on other challenges. 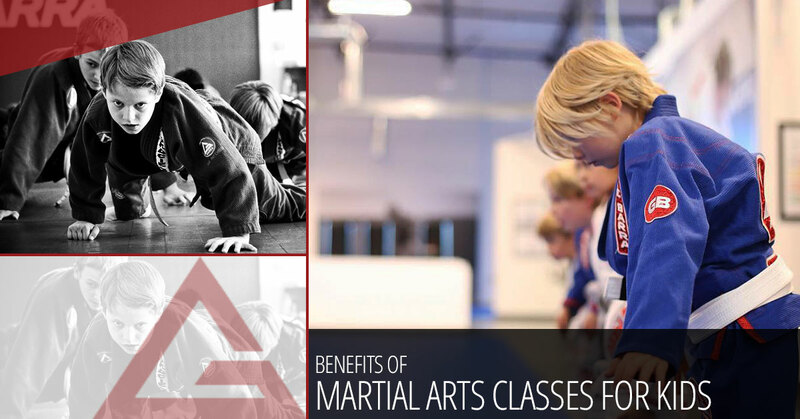 At Gracie Barra of Santa Barbara, we’ve outlined just a few of the potential benefits that both you and your child can enjoy when you choose to enroll them in one of our kids martial arts programs. While the teachings of Jiu-Jitsu focus on non-violent methods of self-defense, the training is still an entire-body workout. It offers a fun way for both you and your child to get an intense workout in without even realizing it. Jiu-Jitsu also helps your child to learn how to use their body more effectively to their advantage, as Jiu-Jitsu requires learning how to move all parts of the body in fluid and precise motions for proper execution. Just like with other sports, but to an entirely new level, martial arts training is the definition of ‘practice makes perfect’. In order to properly perform Jiu-Jitsu moves, it can take repeating a process countless times until the body can instinctively move through the proper technique. This teaches an immense amount of patience, focus, and discipline in children as they feel such a great sense of achievement once they master a technique — demonstrating the important life lesson of ‘you get out what you put in’. Although not a team sport, martial arts classes still offer your child all of the lessons of being a good teammate as they partner with other students and learn new things together. Sportsmanship and respect is also instilled at the foundation of Jiu-Jitsu teachings. This is because the only way to truly master Jiu-Jitsu is to compete against one another. The goal is always to improve their skills more so than it is ever about beating their opponent. As your child is guided through the ropes of Jiu-Jitsu and slowly becomes more proficient in different aspects of the martial arts, they will become more confident and self-assured. This comes from the encouragement of their teachers as well as from seeing their own progress, which will then extend far beyond the class into all areas of their life — giving them the motivation and optimism to learn whatever they put their minds to. These are just a few of the countless areas your child can benefit and grow through participating in a martial arts program. If you’re interested in enrolling your child, click here for more information about Gracie Barra of Santa Barbara’s kids Jiu-Jitsu, kickboxing, and other martial arts programs. We also offer summer camps for your child to get acquainted with the martial arts! Not sure how your child will like the class? Let them try out a free intro lesson.